Wednesdays are actually my Saturdays, which means that you can usually find me cooking up a storm in my house while my boyfriend and roommate are gone at work. 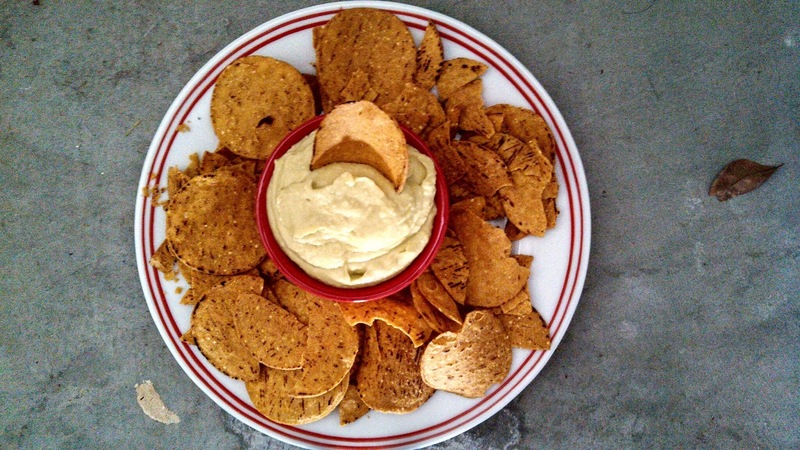 I found two different recipes for avocado hummus on pinterest, but only had some of the ingredients for each. Not wanting to make a run to the store, I did what I do best and created a hybrid recipe of both. 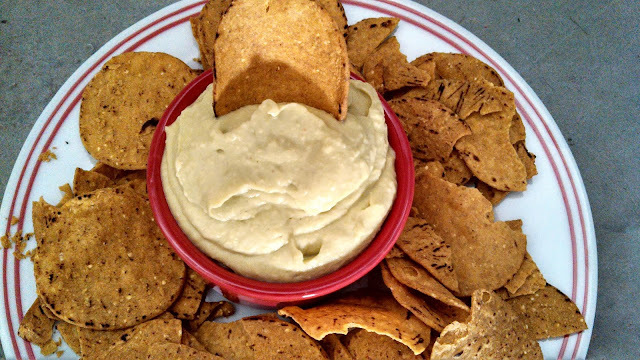 I scarfed mine down with some sweet potato tortilla chips, but this is so versatile and could be eaten with veggies, on a sandwich, or even used is a dipping sauce for some fries. Drain the juice from the canned beans into a small bowl and set aside. In a small saucepan, heat the beans and 1/4 cup of water over medium heat until it begins to simmer. Remove from heat, drain the beans and let them cool until they are cool enough to handle with your hands. Peel the skins off of each bean, trashing the skin, and keeping the peeled garbanzo beans in a separate bowl. This step is a bit lengthy, but trust me it is worth it if you want an extra creamy texture. 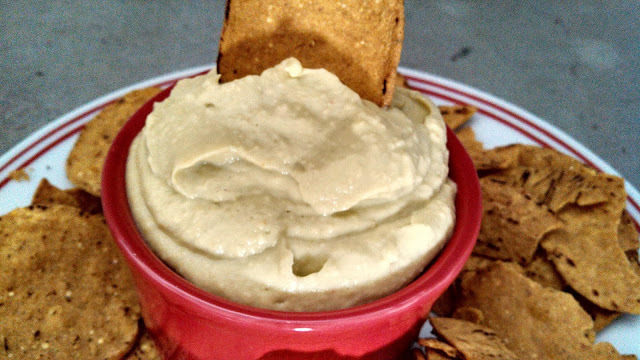 In a food processor or blender, whirl the avocado, tahini, garlic, lime juice, cayenne, salt, and 1 tbsp. olive oil until well combined. Add in the peeled beans 1/3 at a time, blending well before each addition. Once all of the beans have been added and the texture is quite thick, add the rest of the olive oil and mix well. Now to get your desired consistency, you will need to add the garbanzo bean liquid from the can that you saved when you got started. Add a little bit at a time, mixing well before adding more. Keep adding until it is as thick or as thin as you like. Keep in the fridge for up to 5 days. Serve cold.